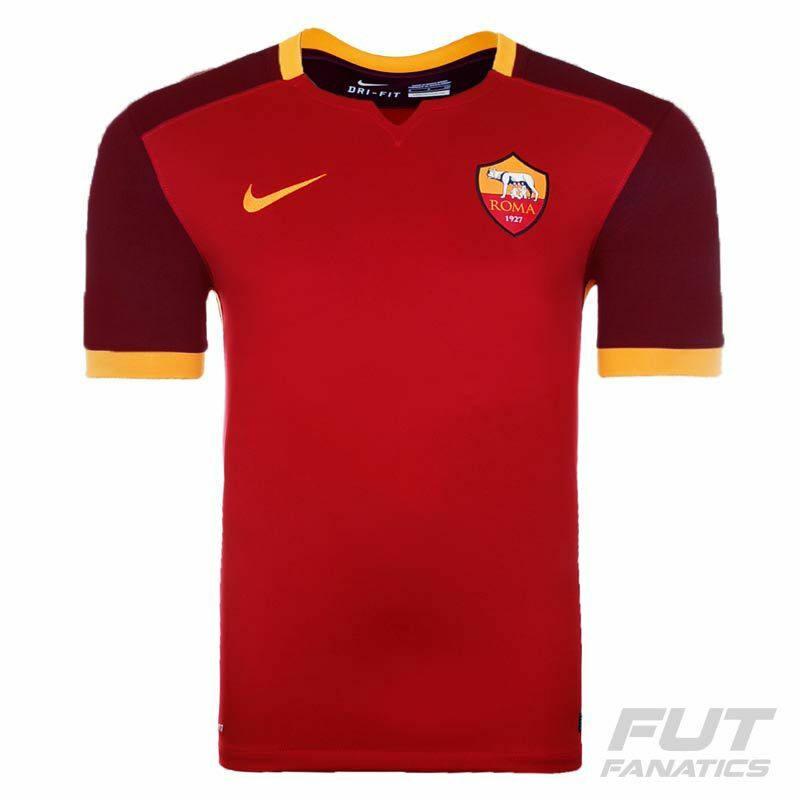 Nike Roma Home 2016 Jersey More info. 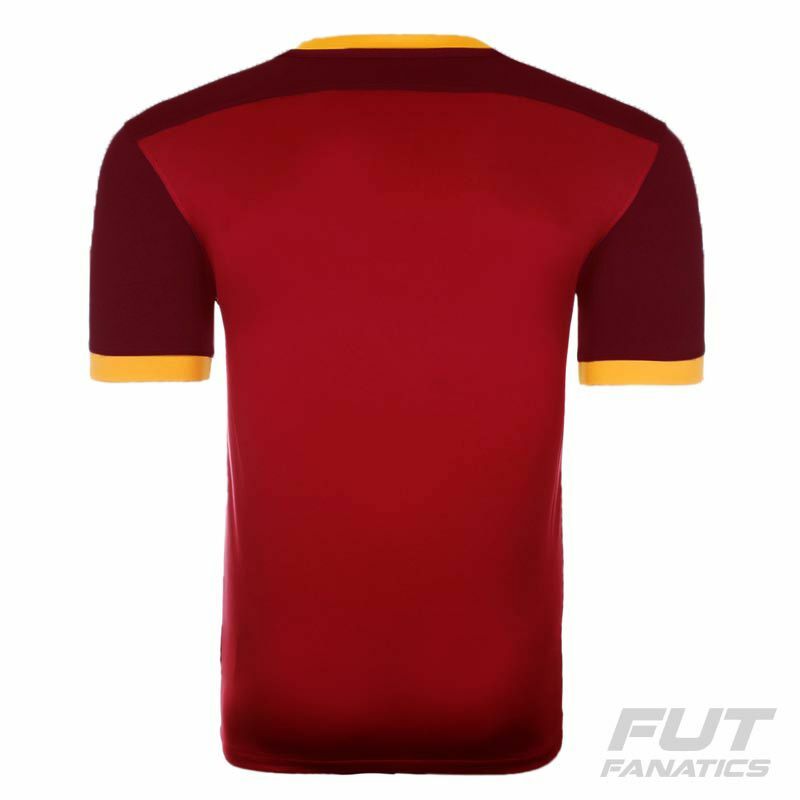 "I Giallorossi" will take the field in this gorgeous and classic Nike Roma 2016 Home jersey. 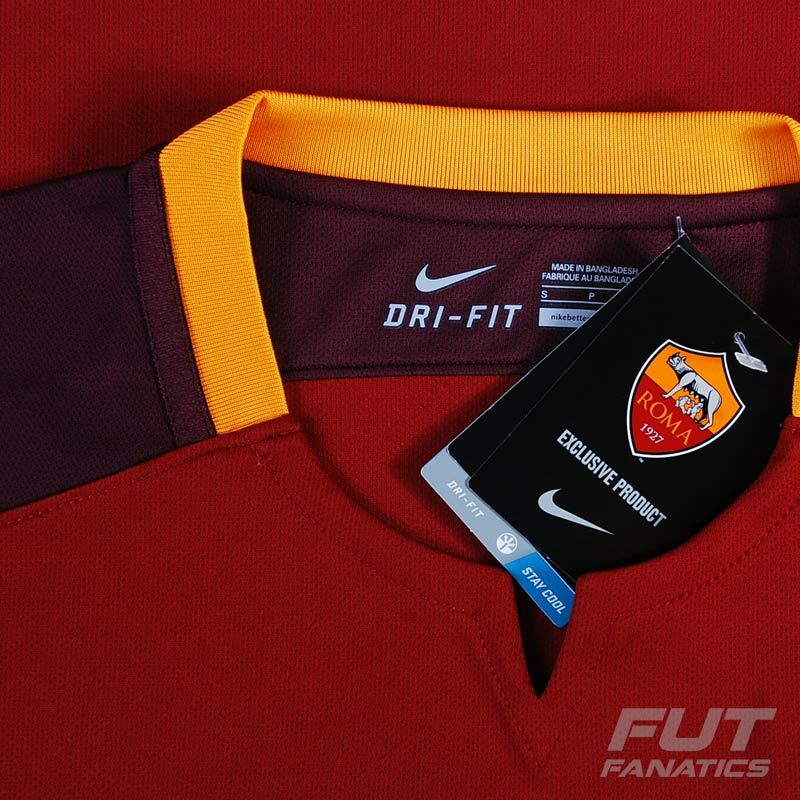 It features the traditional “Roma red” and also some orange details, such as the collar, the sleeve cuffs trims, the Nike logo and the vertical side stripes. It stands out for a untypical reddish brown color on shoulders and sleeves. A triangular cut on collar, which takes inspiration from the iron chest armor worn by Roman soldiers more than 2000 years ago, makes the piece unique. Associazone Sportiva Roma is an Italian soccer club based in Rome. Founded by a merger in 1927, Roma have participated in the top-tier of Italian soccer for all of their existence except for 1951-52. 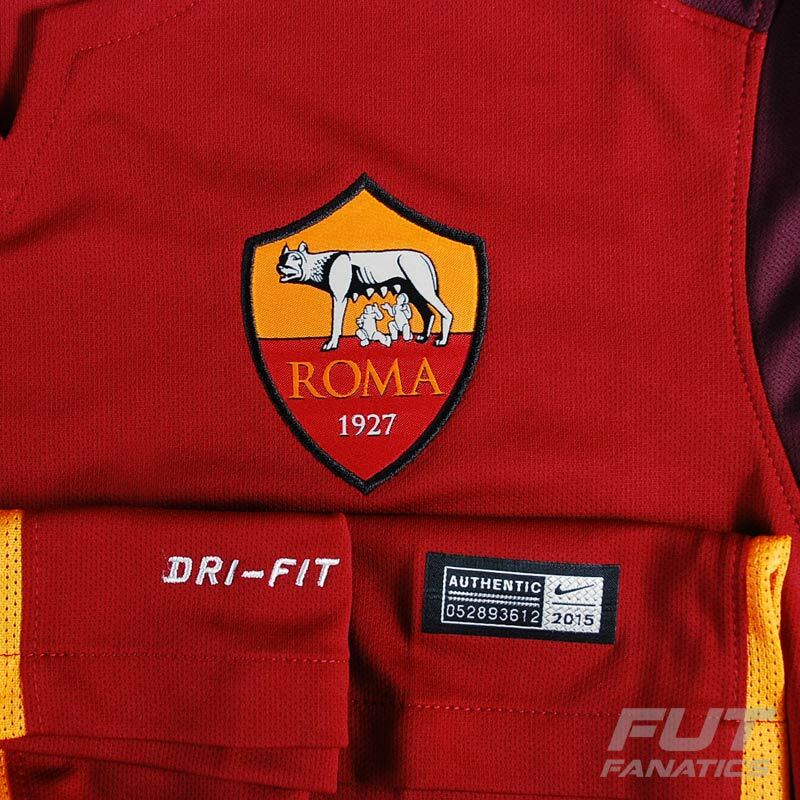 For their 64th season in a row (83rd overall), Roma are competing in Serie A for the 2015-16 season.